I always admired the Folklore, evolution of the original Ovation Josh White after Josh’s death in 1969. The 1995 edition of the Folklore is a stunning guitar, with a wide flat ebony fingerboard with 14 frets clear of the body, a fancy wood rosette, a black veneered slothead and a comfortable mid depth roundback. The perfect tool for some fingerstyle. 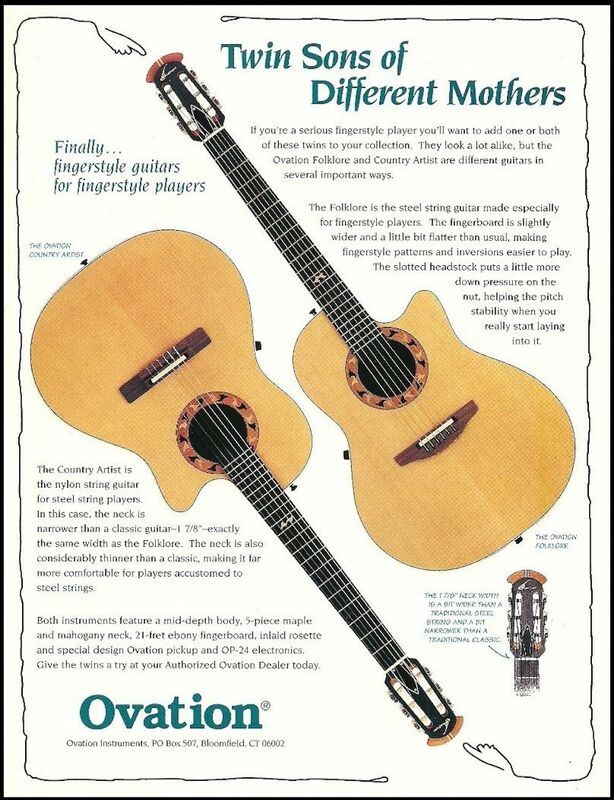 It was advertised together with the sibling Country Artist, with the same style and nylon strings. 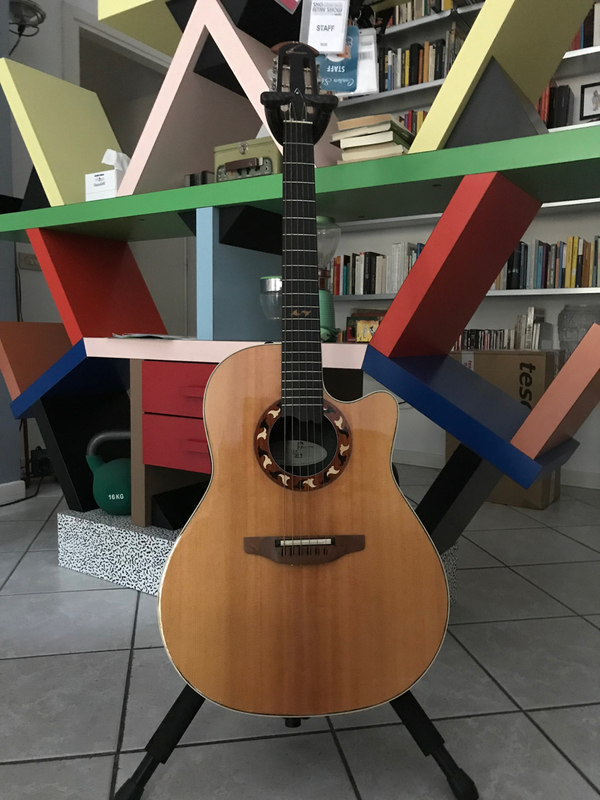 I found this Ovation Folklore on eBay in October 2017. In spite of my offer way lower than the asking price, the seller unexpectedly accepted. The guitar is in mint condition with a superclean case. It plays and sounds as I was expecting. The Kaman era Ovations are always a good choice. Thank you Rupert.